6604 An extraordinary set of 10 Georgian-style carafes. Each carafe holds a bottle (75 cl.) and is bright and clear with no chips, cracks or cloudiness. Indeed, they are fit for purpose and could be used immediately. 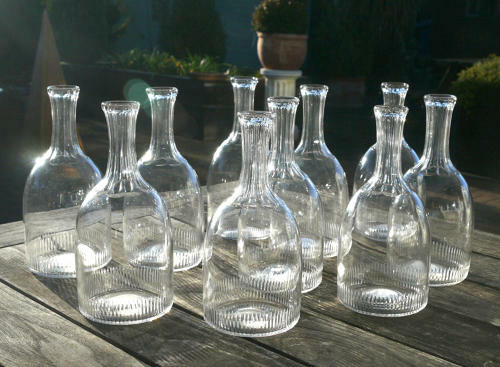 They would look stunning on a long dining table, perhaps with red and white wines in them.